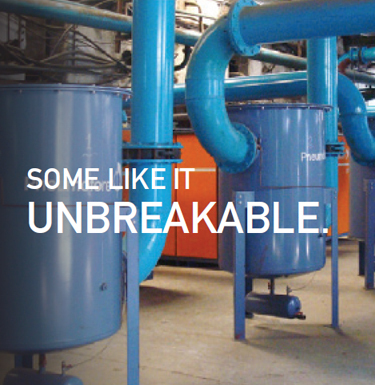 Vacuum is used in the majority of container glass plants, especially on the blow side of the IS machines. This is now also the case of the Rojana plant of Siam Glass, which is testament of Pneumofore’s commitment to vacuum implementation for higher machine speed and lighter bottles. Practically, each day 21.600 more bottles and weight reduced from 145 to 140 gr. It took several years to overcome the comprehensible worries about investing in ‘never used before’ equipment. At first, decision makers were reluctant and doubtful with regard to the benefits of vacuum implementation for the forming of M-150 bottles. Nevertheless, intense exchange of information regarding the vacuum system layout, also in collaboration with the IS machine supplier, resulted in a properly dimensioned piping design. 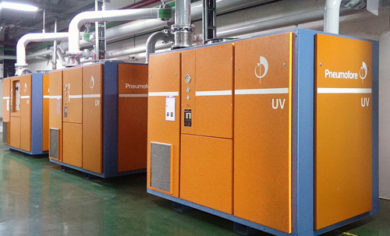 Finally, after the commissioning of the UV vacuum pumps, the technicians’ satisfaction was clearly evident and the improvements, in terms of quality and production speed, absolutely convincing. Siam Glass is currently running three plants in Thailand, producing energy drink containers of different sizes. 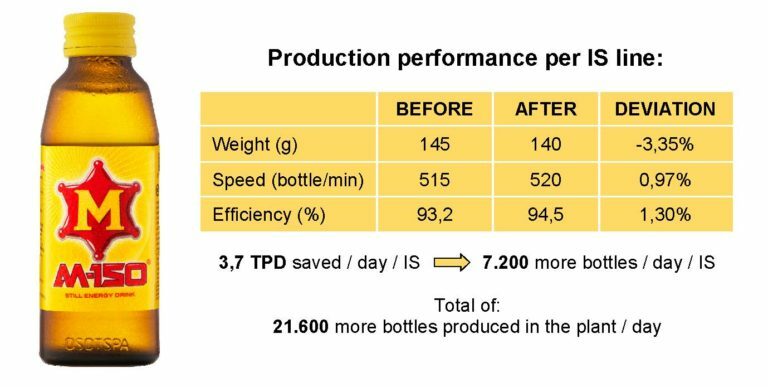 The challenge was to reduce the container thickness and decrease the rejection rate of 150 ml bottles by the use of vacuum. Only one of the three IS lines was modified and configured as a ‘test bench’ for vacuum. The monitoring of pneumatic energies and the search of the best balance between vacuum degree and forming air gave unexpected results. The weight of glass containers with initial weight of 145 gr was reduced to 140 gr. The speed of the IS section after the vacuum-air setting-up was accelerated by almost +1% cycle/min. 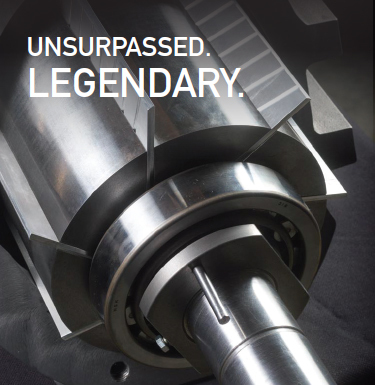 These successful results convinced the management to extend the use of vacuum also on L1 and L3 and, shortly, it will become standard also at the other two plants. 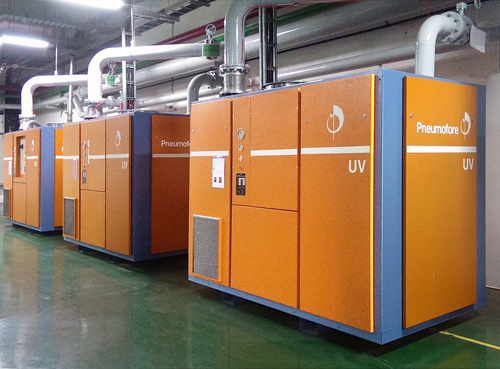 Three UV50 rotary vane vacuum pumps are constantly in operation at Siam Glass Rojana plant, ensuring the exact vacuum level needed on the moulding machines by means of variable speed drives and delivering higher performance with minor power consumption. 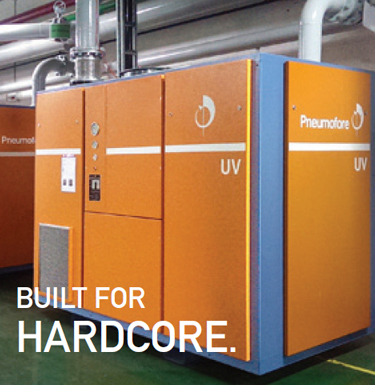 These results show the strength of Pneumofore equipment, which is able to grant stable and durable performance even where air-cooling is specified for tropical temperatures up to 45°C, as in Thailand.